Type I diabetes mellitus is a condition that occurs in any age group but the majority of patients are diagnosed with the condition at their middle teenage. This condition is also sometimes referred to as Insulin Dependent Diabetes Mellitus. 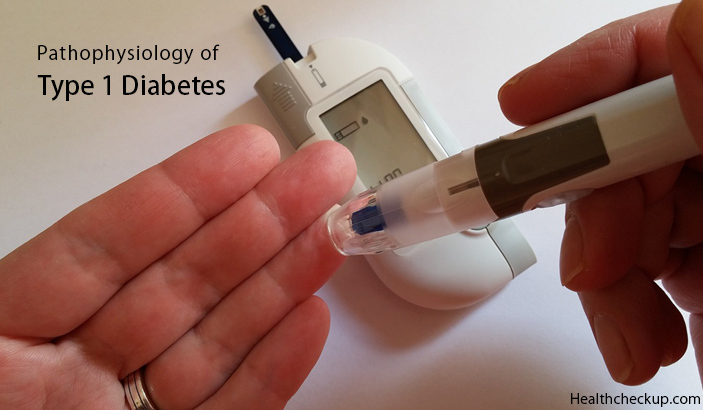 The pathophysiology of Type 1 Diabetes condition is by large characterized by a deficiency of insulin hormone. Type 1 Diabetes can simply be defined as a chronic illness that is by and large characterized by deficiency of pancreatic hormone known as Insulin. Lack of insulin simply means inadequate amounts of blood sugar been taken up by body cells. The blood sugar is converted into energy by the help of insulin. If blood sugar is not converted into energy then there is an accumulation of blood sugar hence causing type 1 diabetic condition. Insulin hormone is produced by the beta cells. In the case of type 1 diabetic condition, these beta cells are selectively affected and eventually destroyed. This eventually causes derangement of insulin hormone production. There are various factors that cause Type 1 Diabetes. It is thought that these factors lead body’s own immune system to mistakenly destroy the beta cells that produce insulin. These factors may include genetic tendency, viral infections, and development of antibodies, use or misuse of certain drugs and chemicals as well as lack of vitamin D.
Research has proven that most cases of Type 1 Diabetes are diagnosed in persons with family history of Type 1 Diabetes. This is thought to be brought by some of HLA genotypes that raise the risks of getting Type 1 Diabetes. Research has also indicated that in some cases when the immune system is activated in response to viral infections these leads to type 1 diabetic. This is majorly when immune cells are activated against the viral particles in the process beta cells are destroyed. Viruses that are attributed to these include Rubella and Coxsackie. Research has found that development of certain types of antibodies against some milk proteins leads to the antibodies attacking beta cells. The presence of these antibodies that destroy pancreatic beta cells is largely established in the pathophysiology of Type 1 Diabetes mellitus. Research has also pointed out that some chemicals and drugs play a major role in the establishment of Type 1 Diabetes. These chemicals and drugs destroy the beta cells. Some of the chemicals and drugs that are attributed to these include Streptozotocin and Pyrinuron. Research has also established that lack of vitamin d especially in the first year of a child’s life may also cause type 1 diabetic condition. Scientists have demonstrated that majority of individuals diagnosed with Type 1 Diabetes mellitus have certain immunologic markers that appear. Presence of immunologic markers indicates an autoimmune mechanism that assists to generate Type 1 Diabetes. Immunologic markers are as a result of pancreatic beta cells puffed up by lymphocytes, causing insulitis. This brings about decline of pancreatic beta cells production with a resultant of progressive impairment in insulin hormone secretion. Eventually, there is organ failure causing potential complications. There is no Type 1 Diabetes cure that is known for autoimmune mechanisms. Research has proven that if someone in your family has Type 1 Diabetes then you are most likely to have the Type 1 Diabetes mellitus condition at some point in your life. Genetic susceptibility testing for Type 1 Diabetes involves the use of multiple genes. The Human Leukocyte Antigen genes type 2 has the strongest attraction to Type 1 Diabetes mellitus. These HLA genes contribute at least 17 loci to the inherent susceptibility of Type 1 Diabetes. Most of the individuals diagnosed with Type 1 Diabetes mellitus are found with HLA DR4 or HLA DR3 haplotype. There are numerous environmental factors that are thought to trigger an immune event in genetically vulnerable individuals. Investigations have not yet established the specific environmental factors are linked to Type 1 Diabetes mellitus. However, factors that intertwine to environmental factors such as viruses and nutritional influences are proved to cause Type 1 Diabetes mellitus. Examples of viruses that cause Type 1 Diabetes include cytomegalovirus, rotavirus, coxsackie and rubella virus. The nutrition influences include milk proteins. 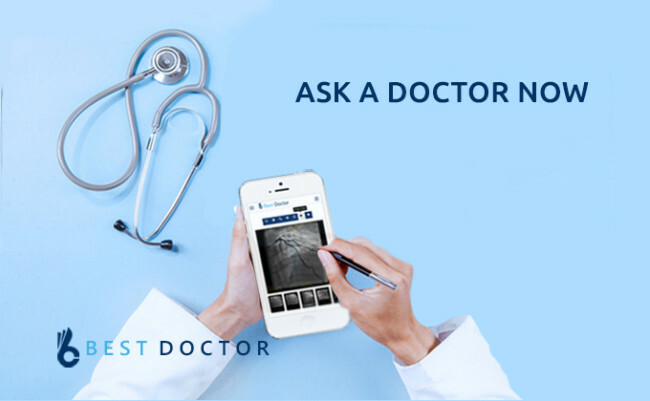 Why Do You Need To Undertake The AGAP Blood Test?